We are excited to announce that we have started with a pilot study with Ovalastic in Slovenia and treated six women in the last two days. The first four patients were treated in Maribor University Medical Centre, Maribor (Slovenia) by Drs. Thurkow and Dr. Žegura. The last two patients were treated in Slovenj Gradec General Hospital, Gradec (Slovenia) by Dr. Šavc and Dr. Verdnik Golob. The treatments were all very smooth, partly due to great experience in hysteroscopy of all specialists involved and the fantastic cooperation of the assistants. The Ovalastic procedure is a non-incisional, non-scarring hysteroscopy procedure for permanent female sterilization with formed-in-place silicone rubber plugs, i.e. occluding the fallopian tubes by mechanical action. In just a few minutes after administration the material solidifies into a soft, flexible and rubbery material that fills up the cavity. Urogyn B.V. is very pleased to announce that the Company has been acquired by Arteface Medical Investment limited (AMI) a Hong Kong based investment company. AMI acquired the entire share capital of Urogyn. Urogyn has developed unique products in the field of incontinence and sterilization. It’s top product Urolastic™ is a strong candidate to become the first choice in treatment of female stress urinary incontinence while Ovalastic™ is the only safe product in the world for hysteroscopic sterilization. 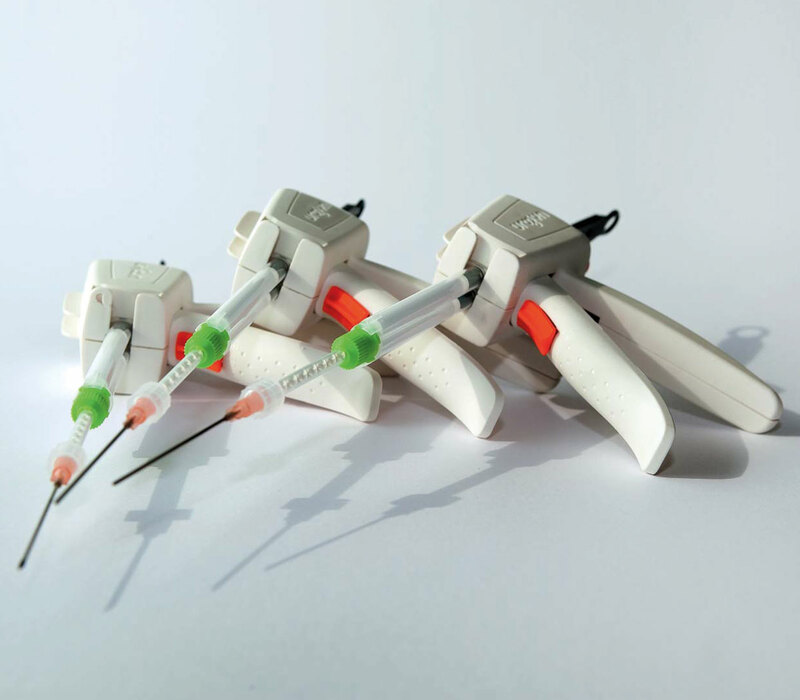 The acquisition by AMI will allow Urogyn to further expand its sales in Europe and South East Asia says Noes de Vries CEO of Urogyn. It furthermore will open up the way to register our products in the USA. About Urogyn: Urogyn was founded in 2009 with the ambition of developing new products in the field of urology and gynaecology, based upon a two-component polymer technology. More products are expected to be commercially launched in the near future a.o. for treating faecal incontinence (www.urogynbv.com). On this festive edition of the 50PlusBeurs, Urogyn will be in Hall 9, where visitors will get more information about our treatments for stress urinary incontinence in men and women. Did you know that unwanted urine loss is a common condition? About one in three women and one in ten men aged 55 and over suffer from this. Undesirable urine loss can have a profound effect on the quality of life, it can bring shame, stress, low self-esteem and create limitations in daily activities. Do you want to take action without worrying about unwanted urine loss? Then come and check our stand for more information about our treatments. In 25 years, the 50PlusBeurs with 600 exhibitors and 100,000 visitors, has grown into the world’s largest event for active people over 50. That was different at first edition in The Hague when 96 exhibitors and nearly 9,000 visitors gathered. In each theme, stands are packed with information and entertainment. There are also workshops and presentations, many performances on podiums with music, fashion shows, cooking demonstrations, dance and theater. Even a rest during your attendance visit? For this reason, there is also a special theme terrace in each hall, where you can sit down and where you can also get food and drink. With the special Silver Edition, the 50PlusBeurs celebrates this silver anniversary. Especially because of the 25th edition, every visitor receives a Silver Surprise and special activities. For example, the sporty plus is a record attempt, Silver Challenge, which opens the fair with more than 1,000 plus sports. For the happy, caring and fashionable 50plusser there is a Silver Model Election, the final of which will take place during the 50PlusBeurs. In addition, after the fair there is another Silver Show, a festive performance with singing and cabaret with life as an inexhaustible source of inspiration. All in all, there is more than enough experience on the biggest fair for active 50 plus people. Visit our stand at the 25th edition of the 50PlusBeurs from 19th to 23rd September in the Jaarbeurs Utrecht! On the 1st September 2017, our distributors from Archie Samuel organised the first workshop for Urolastic in Czech Republic. The workshop took place in Brno, Czech Republic and specialists from five centres were welcomed by Mr. Jiri Deml, Sales Director at Archie Samuel. The training in the Urolastic procedure was provided by Dr. Mija Blaganje from Ljubljana, Slovenia who is an experienced Urolastic trainer. Urogyn on the local TV show ‘NIJMEEGSE KENNIS’. 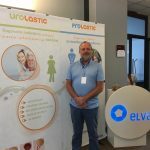 On the 5th May 2017, 15 doctors from Croatia and Bosnia & Herzegovina will attend a Urolastic training workshop organized by our distributors in Croatia, ELVA Pharma. The workshop will take place at the Hotel Admiral in Opatija and doctors will be trained in performing the Urolastic procedure. We will post photos and further information following the event. For more information regarding training and workshops in Croatia, please contact our distributor at info@elvapharma.com. Many treatment options for stress urinary incontinence are difficult to apply to neurological patients but Urolastic is seen as a good option due to the minimal-invasiveness. The RCOG World Congress 2017, now incorporating the ISUOG’s 13th International Symposium, was held at the Cape Town International Convention Centre, South Africa on the 20 – 22 March 2017. With over 14,000 Fellows and Members worldwide, the Royal College of Obstetricians and Gynaecologists (RCOG) encourages the study and advancement of the science and practice of obstetrics and gynaecology. Our distributor Legacy Medical attended the congress and showcased our product for treating stress urinary incontinence in women – Urolastic. Delegates from more than 70 countries , 22 African , attended in what is described as the “Tavern of Seas” setting at the Southern tip of the Continent. It was a true Global event with attendees in the excess of 2000 with many local and world leading. Kimia Behboud Arman is a pharmaceutical company focused on supplying laboratory equipment, medical equipment and pharmaceutical products that match high international standards to universities, hospitals, clinics, doctor’s practices in Iran. Kimia Behboud Arman seeks to help diagnose and treat disease in a timely fashion, and offer valuable services to customers to help improve healthcare in society. Urogyn are happy to announce that we have entered into a partnership with Kimia Behboud Arman and are looking forward to have them promote our innovative products for treating stress urinary incontinence, a growing problem that affects millions of people worldwide. Last week N1 (local TV-station) visited Urogyn to shoot an interview about Urolastic for the new TV show ‘NIJMEEGSE KENNIS’. The program makers are looking for innovative developments and products with their origin in Nijmegen. The series of 7 or 8 innovative ideas show there are lots of interesting developments going on in Nijmegen. One of the innovative products showcased in the series will be Urolastic, the minimally-invasive treatment for stress urinary incontinence in women. The series will be broadcast in March and April on N1. When the exact date and time of the broadcast are known, we will announce it here. Welcome to our new company website. We hope that the new format will allow you to find the information you need more quickly and easily. We are continuing to update our website with useful information and news regarding our company and products, so please do check back with us for updates. Please feel free to contact us if you need more information at info@urogynbv.com.